Made by cropping and layering images and papers from Debbi Moore's CD Egyptian Promise. Hi Caroline. 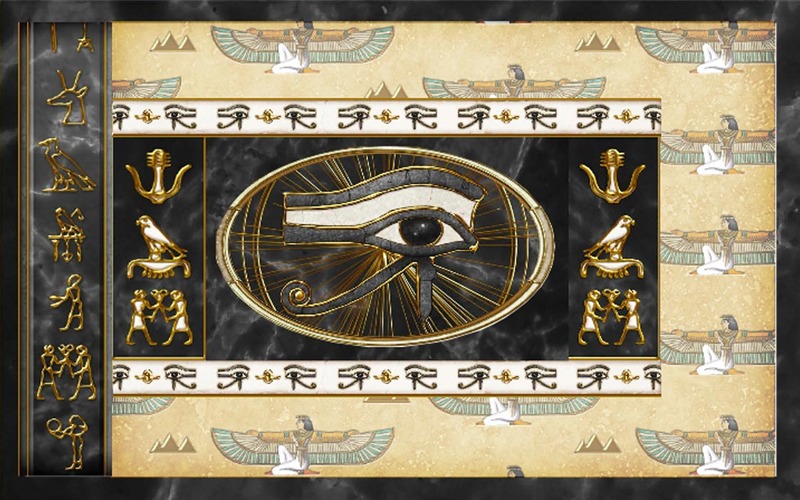 I love the gold and black colouring and the 'eye' seems to look right through you. Fabulous card Caroline, I love how you have manipulated the original image and the colours are stunning. Thanks for continuing to support CD Sunday. Super image and it makes a stunning card. This is perfect for our challenge so thansk for sharing it with us this week at CD Sunday. 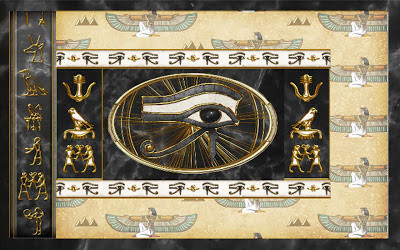 I love the way you've used this CD - not going for the obvious images (like I did) but bringing some of the elements to the fore for a great Egyptian effect. A great design Caroline - looks like a good CD to have in your stash. Thank you for joining in again this week. This is fabulous and so striking Caroline. Striking card love your images. How fabulous is this, i love it Caroline, a stunning card.